Steve Miller lives in Dongtan, South Korea where he teaches English, Science, and History to elementary and middle school students. In his free time, he explores Korea and the globe, documenting his travels for his award-winning YouTube channel and the Korean government. His videos have been viewed over 1 million times and seen on CNNGo, featured on Korean television, and honored by The President’s Counsel on National Branding (Korea). The Korea Tourism Organization has featured many of his travel videos and blog posts. He currently maintains a rigorous broadcast schedule of three videos per week and posts blogs for Korea.net. Steve’s videos provide an entertaining and informative vehicle for those wanting to learn more about the amazing world in which we live. For more up-to-date information and to message Steve, contact him via Twitter or his Facebook page. Since there is no other contact form on your blog, I figured I could use this one to send you a quick note. I thought I’d let you know that I like your podcasts, and even picked one of them (the one on dieting and new year’s resolutions) to use as the audio material for one of my English lessons I teach on real-english.ru. If you are wondering what the website is all about, it is a free ESL service for Russian-speaking learners of English where I try to leverage what I have picked up throughout my ten years as a Canadian resident, combined with my web-programming skills, to build an online community of enthusiastic English learners. While the content is mostly in Russian, I am sure you will figure out that the assignment was to listen to, comprehend and transcribe what was said in the podcast. I chose your video because I liked your voice and your manner of speaking. Thanks for the great work, Steve, and I would love to hear back from you, as to whether you like this idea or not. 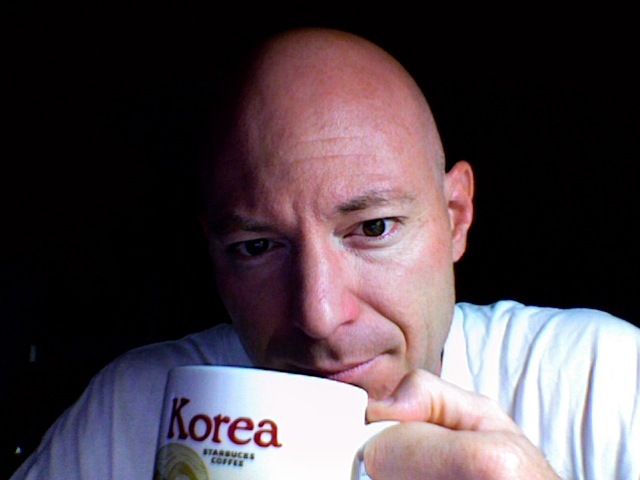 I’ve been paging through your blogs…we’ve definitely had some of the same experiences teaching in Korea. Since you seem like a traveler, and I’m always up for tourism :), was there anything in Korea that you really loved or wish you had seen? I really enjoyed my time in Korea and will be returning there June 1st (Dongtan, near Suwon). I really liked Hwaseong Fortress in Suwon. It was rich with History. The other place that really really impressed me was Changdeokgung (the palace with the Secret Garden). The tour gives you a nice over view, but as I recall, on Thursdays, you can roam the grounds without a guide. I really never made it outside of the Seoul area that much, since I was trying to hit as much as I could. I’m going to try and hit Busan and Jeju this year, as well as a flight over to Japan. I would recommend going to Everland and Lotteworld. In July, there’s the Mud Festival, which is a blast. Well, that’s a start of some of the more interesting things. Oh…. and Seosaemun Prison was really neat too. I’m still in Korea… Where are you located? I’m in the process of getting my ARC again, so no mobile yet. I am in Shinchon. You have facebook? I’m Joaquín Menchaca on there. Search for suavecali@yahoo.com. I’ll add you as friend, and my phone number is on there. Right now I am in final’s week. i found your awesome blog through browsing some blogs! and i surprised that you have shopping experience at Gmarket right? and you’ve posted that your shopping items which is great info. to our customers who foreigners lives in Korea. and share your shopping exprience! I appreciate you taking the time to read this and sorry if it sounds like a really weird thing to ask. I haven’t seen it… but it’s probably sweeter since it’s made with real sugar. Hey I am thinking about going to teach in Korea and was wondering what schools are worth applying to. Unfortunately I can’t answer that in a blanket statement. I would advocate doing research on all schools and branches at sites like Dave’s ESL Cafe to get feedback from numerous teachers. I was wondering what schools you have taught at and what your thoughts on those schools were. I’ve worked for two school here and have seen contracts for many more. While I won’t name names, I will say that it really doesn’t matter that much. A well known chain can have a crap branch and an unknown mom & pop hagwon can be the cat’s meow. In my opinion, the best thing to do is research a specific school. Hello, I’m Kim Jin-Hee and I am a script writer at Arirang TV. My phone number is 010-4546-7696. but I can’t speak english very well. Please leave your message. 🙂 I will be thrilled to hear from you. Messages sent. I’m looking forward to hearing from you! i’m really enjoying your blog/vlog and i must say they’ve been both interesting and helpful. i’ve just been offered to teach in hwasung dongtan (i’m not sure which is county and which is town) but i was wondering if you could share some of your thoughts on what it’s like to live in dongtan. you mentioned in one of your entries that it lacks amenities, and i was wondering if amenities like theaters restaurants bars etc., were hard to access in dongtan. is dongtan a city of families or elders or college students… pros and cons of living in dongtan compared to seoul for instance..
I’m not sure about the requirements for teaching languages other than English, but would assume they are the same as an E-2 Visa. Jo and I plan on staying in Korea for a long while. We enjoy it here and have a great time. As for it being lonely, I keep in contact with friends and family on a regular basis and make the trip back ever few years. It really isn’t any different than being on the opposite coast of the US. thank you for the information, by the way how long have you been studying the korean language? Is it difficult for you to learn? I have been learning it for for over a year. By that I mean I’ve spent some time learning it, but not a real concerted effort. I find it quite easy when I put my mind to it! You have my dream job – honest. Basically, I am from Canada and I want to teach in South Korea. However, I don’t know I am going to get accepted for I speak English with a French accent. By any chance, do you know if my English speaking will affect my chances of being selected? I am graduating from High School next year (peace out high school), and I am planning on majoring in English and education. I don’t know if my major would help me lose my accent ( I genuinely hope it does) ; however, my writing is pretty good, provided that I have been living in Canada for less than two years now, and went straight into regular English (not ESL). Dean, schools hire teachers from all over the world, not just North America. In fact, I’ve met teachers with very strong Aussie, New Zealand, and Irish accents. Just put your best foot forward in the interview and I’m sure you’ll do fine! Have you anyn knowlege/ experience with the ability of one (American) to bring their dog with them when coming on a teaching Visa- Does the gov. allow it? Do the appartments? There are regulations in place that allow foreigners to bring their pets with them. Check with immigration and customs for the latest regulations. I know of one teach that brought her dog from San Francisco to Korea in 2009.